The British Lionhearts are going on tour for the 2018 season of the World Series of Boxing (WSB) when the team will compete in Gateshead, Liverpool and Newport. The decision to take the team out of London for the three group stage matches will give fight fans in the North East, Liverpool and South Wales an opportunity to see local favourites from the GB Boxing squad compete in their hometowns. Team GB 2016 Olympian and two-time European championship silver medallist, Pat McCormack, and 2017 European championship bronze medallist, Calum French, who both box for Birtley ABC in Tyne and Wear, will compete against the Croatian Kinights at the Gateshead Leisure Centre on Friday 16 February 2018. Reigning European champion and 2017 world championship bronze medallist, Peter McGrail of Everton Red Triangle, will box against Italia Thunder at The Auditorium at Echo Arena in Liverpool on Friday 2 March 2018. The line-up for the match with the France Fighting Roosters at Newport Leisure Centre on Saturday 14 April 2018 has not been selected but will feature a strong Welsh interest. Early bird discount tickets are on sale now, priced £15, at www.gbboxing.org.uk/tickets. 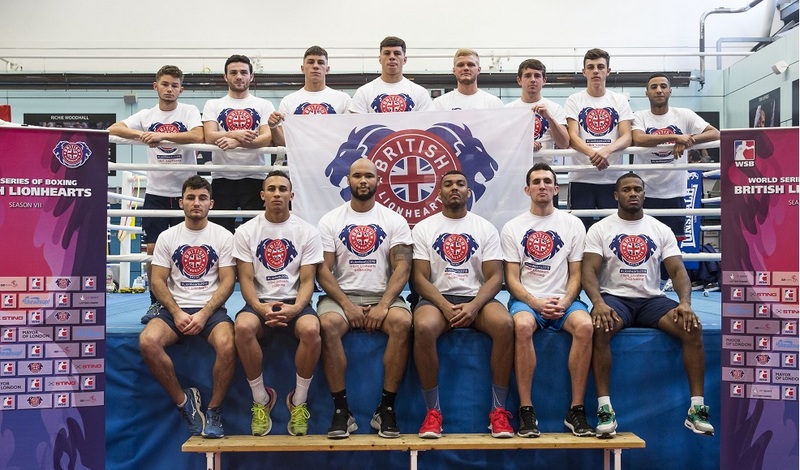 The British Lionhearts team is supported by UK Sport and largely comprised of men from the GB Boxing squad along with a small selection of international boxers. All the coaches are provided by GB Boxing and the team is led by GB Boxing’s Performance Director, Rob McCracken. Matt Holt, Chief Executive of GB Boxing, which oversees the British Lionhearts team, explained: “WSB is a very high quality competition and we have made the decision to move the team around the country so that more boxing fans will have the opportunity to experience it for themselves and see boxers from their hometown competing in this format.